GARDENA — Seven candidates, all but one of them current or former members of the City Council, are running for mayor of Gardena in the March 7 election. Among them is attorney Ronald Ikejiri, who served on the council for 12 years. After taking office in 2001, he was mayor pro tem three times (2004-05, 2008-09, 2011-13) and was termed out in 2013. “I have the unenviable asterisk as the first publicly elected official in Gardena to be termed out” after term limits were imposed, Ikejiri said. Candidate Rachel Johnson was also termed out. The other candidates seeking the seat vacated last year by Paul Tanaka are Mayor Pro Tem Mark Henderson, Councilmembers Tasha Cerda, Dan Medina and Terrence Terauchi, and compressor mechanic supervisor Warren Kronberger. A graduate of Gardena High School, Ikejiri earned his BA in public service from UCLA, his MPA from UCLA, and his Juris Doctor from Northrop University School of Law. He is admitted to practice law before all State of California courts as well as U.S. District Courts in California and the U.S. Tax Court in Washington, D.C.
His jobs have included Washington representative of the Japanese American Citizens League, partner in the Washington, D.C. law firm of McGuire Woods Battle and Boothe, and, currently, governmental affairs attorney in D.C. and Los Angeles. 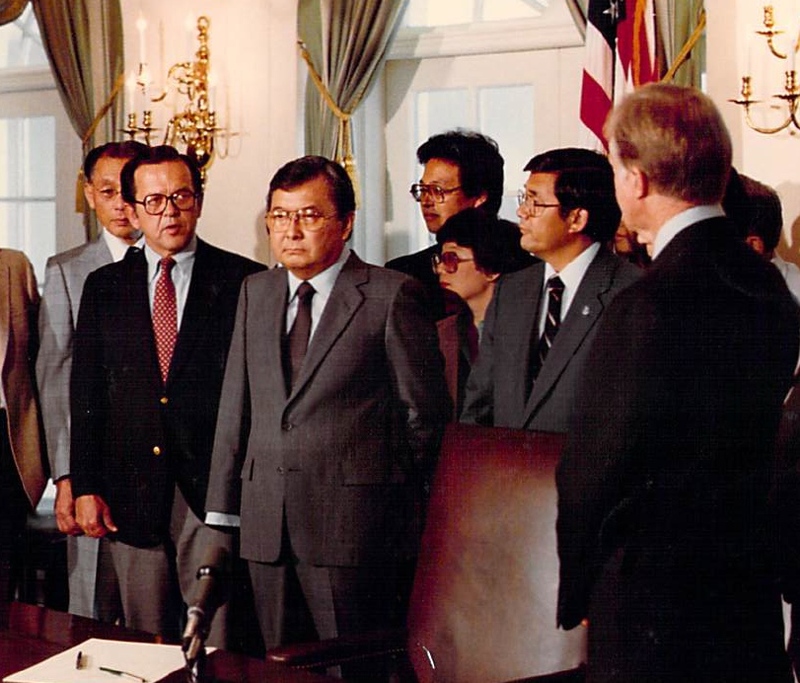 In his JACL post, he was a registered lobbyist and was responsible for the legislative oversight to create the Commission on Wartime Relocation and Internment of Civilians, which was signed into law by President Jimmy Carter in 1980. 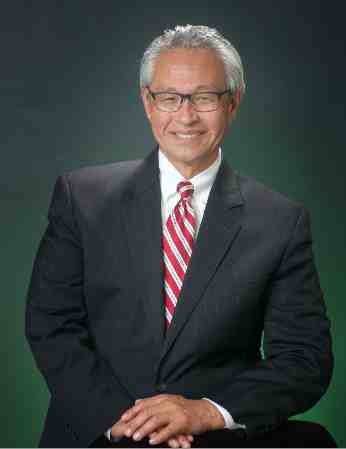 In addition to being Gardena’s representative to the California League of Cities, South Bay Cities Council of Governments, and Southern California Association of Governments, he has served as president of the Gardena Evening Optimist Club and board member of such organizations as Asian American Drug Abuse Program and Torrance Symphony Association. “Restructuring of the debt of the city from consideration of municipal bankruptcy to a structurally balanced budget, where capital reserves last year exceeded 20 million. As a city we were fortunate to have properties that are once-in-a-lifetime sales that provided a core capital reserve. Going forward from 2017, we will have to be conservative with our budget as we are in a time of uncertainty with the new Trump Administration and its allocation for federal dollars for state and local initiatives. “Reorganization of delivery of city services. Our Community Development Department has streamlined the procedures and has a ‘one-stop’ approach for new projects and building permits by residents. While he would have preferred not to leave the council, Ikejiri observed, “Sometimes it is healthy to step away and take a look back. Being out of office provided me with the ability to see where the city was and where it is now, and where it can be. The reason I am running for mayor is that I can see that we can build on the past successful decisions and efforts over 16 years and then set the stage for the future growth of the city. One of the challenges facing the city, according to Ikejiri, is an orderly transition to a new city manager. “Our current city manager, Mitch Lansdell, retired at the end of December and remains for up to six months on a part-time basis. Mitch was with the city for over 30 years. His knowledge and experience is not easily transferable. Education is also an area of concern. “The Gardena High School I went to in the 1960s is not the Gardena High School of today. I would propose a city commission to press the L.A. Unified School District harder on being a better partner with our city, and at the same time find ways to either join other school districts or create our own. Japanese Americans have been politically active in Gardena for decades. 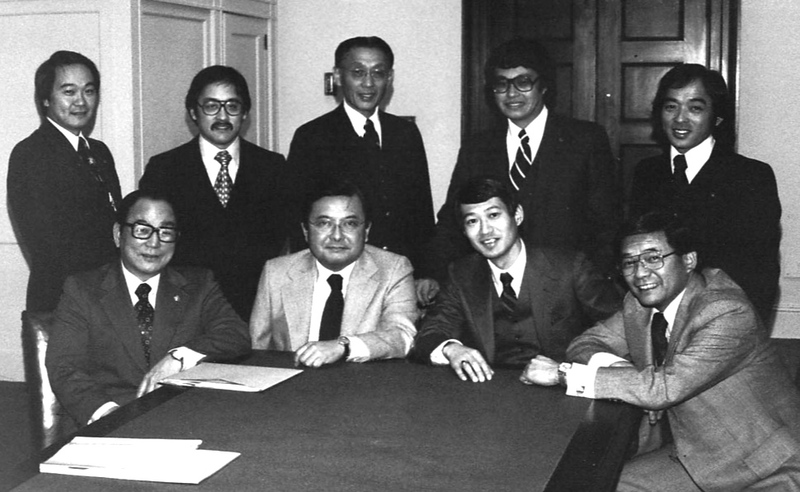 Ken Nakaoka joined the City Council in 1966 and became the city’s first elected mayor in 1972. Other councilmembers who made their mark include Mas Fukai, Paul Tsukahara and Paul Bannai, who was later elected to the State Assembly. “Today, approximately 11 percent of the 60,000 residents identify themselves as Japanese Americans,” Ikejiri said. “With 6,600 potential voters, one would believe that if you gain the support of the Japanese Americans, you can win. That is not true. Japanese American views on issues and candidates are not any different than other voting groups — it is diverse. “Ethnicity alone cannot be the singular determining factor, but could be in certain instances. In the current race we have two Japanese Americans, three African Americans, one Hispanic and a person who identifies as ‘other.’ There is much talk of splitting the vote within race and ethnic lines. This could be a great master’s degree thesis, but on March 7 we will know. “I am encouraged when I am doing precinct-walking in an emerging Hispanic community that was predominantly African American and I knock on the door. The homeowner comes out and says, ‘Oh, you’re Ron, you are running for mayor. Don’t worry, my husband and I already voted for you by absentee.’ Not so sure that would have been the case 16 years ago when I first ran for council in 2001. Ikejiri takes “great comfort” in living in his childhood home. “My father and mother left the internment camp in 1946, and saved for seven years, $1,000. They used that $1,000 to buy an $11,000 home in Gardena, where I live now. “Today, all of the Nisei families that moved into our block remain. No one has sold their home. All of the residents are Nisei women, [except]one Nisei man still lives on our block. In the 1950s when I would walk home from Denker Avenue School, these Nisei women would look out for me and if I did something bad, my mom and dad knew about it. The earliest form of neighborhood watch. “The most important day of the week in Gardena for those on our block is trash pickup day, which is Wednesday. The Nisei, as can be expected, are not going to miss Trash Day. So they put their trash cans out on Monday, which is against the city ordinance. But it is an early warning system for me. Other contested races in Gardena are for City Council (eight candidates for two seats) and city treasurer (two candidates).